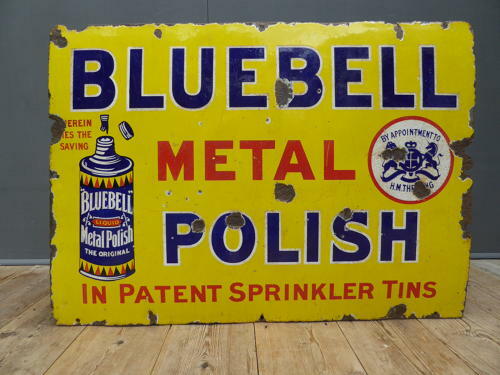 A beautiful early vintage 'Bluebell Metal Polish' enamel sign. A fantastic & very seldom seen piece of advertising with a bold pictorial of the polish bottle & unusual 'pointing hand' detail. Displays beautifully.